Published: Oct. 15, 2014 at 10:18 a.m. Updated: Oct. 15, 2014 at 05:49 p.m. The New York Giants have no choice but to move forward without Victor Cruz. One teammate says he's yet to move on from the harrowing moment when the star wide receiver was writhing on the turf in Philadelphia. "Man, I just can't get it out of my head the way he was just down there screaming, screaming to the top of his lungs and you didn't know why," safety Antrel Rolle said Tuesday on WFAN-FM, via the New York Daily News. "I don't know, man, that's a hard pill to swallow. "I've seen Victor run that play 20 times in practice, I see him catch it 20 times in practice. Some things are just freakish, and that's just a freakish accident." 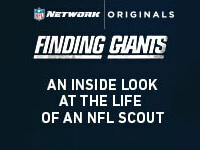 Cruz suffered a torn patellar tendon during the third quarter of the Giants' 27-0 loss to the Eagles on Sunday night. Cruz underwent surgery to repair the knee and was placed on season-ending injured reserve Tuesday. "As a Giant and as a player, we need to definitely go out there and honor this guy," said Rolle. "You always find a reason to play this game for something bigger than yourself, and right now here's an opportunity to go out there and play the game for something that's bigger than yourself. Here's a guy who contributed so much and put so much on the line for this team and for this organization, we have to make sure we go out there and do something to inspire him while he's going through this tough time." You could tell by the reaction of both Giants and Eagles players on Sunday night that Cruz is a respected figure. His injury seems to have left a lasting impact on teammates.